Lithium-Ion Batteries might Caused Malaysia Airlines Flight 370 Crash. 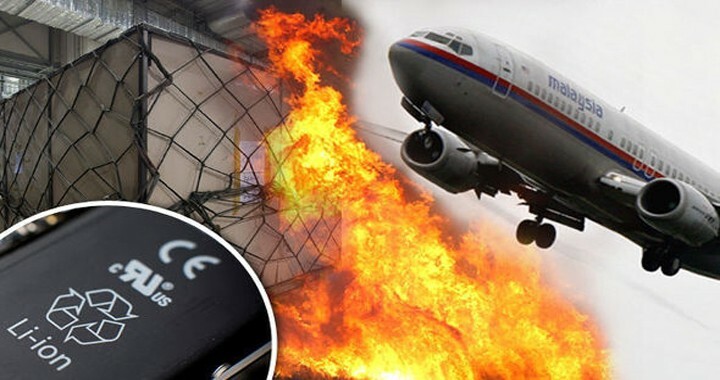 Ross Aimer, a pilot with over 33,000 hours of experience, believes that the Malaysian Boeing 777 crashed due to a fire on board, which started due to the explosion of a shipment of lithium-ion batteries, Daily Star reported. 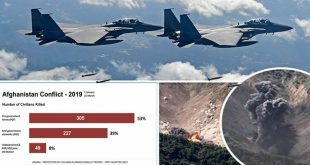 The aviation expert claimed that Flight MH370’s disappearance is similar to other crashes caused by fires in certain respects. “From the very beginning my gut feeling was a possible on-board fire. Looking at a few catastrophic crashes caused by on-board fires, I see some similarities,” he said. According to Aimer, the source of the fire could have been a shipment of 221kg of lithium-ion batteries, which could have exploded in-flight. “Although 777 has a very sophisticated cargo fire suppression system, it cannot handle this type of carnage,” he said. He added: “I totally support another search or even a series of searches. We cannot give up on this biggest disappearance mystery of our time. “Let’s put some smart minds together and use the technology we have to find this thing. “I was pleading with the Malaysian authorities to let the superpowers take over the search every time l was on TV or print, right after the disappearance. “I warned them we only had a small window of opportunity before the (black box) pingers would go silent, after about 30 days. “After which the possibility of discovery would become extremely hard. Theories linking the mystery of MH370 to lithium batteries surfaced in the wake of the jet’s disappearance on March 8, 2014. Some claimed the presence of 4,566kg of mangosteens, a fruit, could have reacted to create a fire. But investigators ruled this theory out in their final report. Some aviation regulations forbid or limit the carrying of lithium-ion batteries onboard planes. In certain rare cases, for example as a result of a short circuit, the individual components in such batteries, normally separated, could mix, creating an explosive reaction. Although the explosion itself is unable to significantly damage a plane, the potential consequent fire could become fatal. Malaysia Airlines Flight MH370 with 239 passengers and crew on board disappeared from radar screens on March 8, 2014, on its way from Kuala Lumpur to Beijing. An official investigation by the Malaysian government has failed to determine the airplane’s fate without having discovered the crash site. Previous How Do U.S. Air Force Test the World’s Fastest Jet Engines?